December 2017 -- Happy New Beer! LIBeerGuide hopes that you, your families and friends enjoyed the holiday season and we wish you many blessings and good cheer for the New Year. At this time of year we also want to remember those in need on Long Island, so we are glad to highlight Long Island Cares and the Harry Chapin Food Bank, which is focused on achieving its goal of a Hunger Free Long Island. May we all do our part in 2018 to raise awareness and support this good work. Craft brewing on Long Island frothed over this year with eight breweries opening new tasting rooms. This brings the total number of breweries with tasting rooms to 30, compared to just nine at the end of 2012. Special thanks to Michael DeSantis for putting together the following map showing this growth. Craft beer lovers on Long Island have a lot to look forward to in the year ahead, including the opening of Moustache Brewing's expanded tasting room in Riverhead and a new brewing facility for Blue Point Brewing in Patchogue with a tasting room and beer garden. In addition, more than ten craft breweries have announced plans to open new tasting rooms in 2018 (or later, depending on licensing and construction schedules). 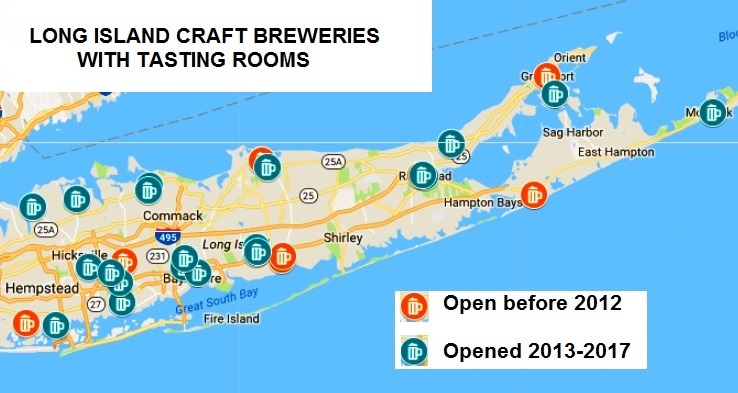 Bay Shore -- Fire Island Beer Co.
Riverhead -- Twin Fork Beer Co.
We are often asked the question: how many craft breweries can open on Long Island, or is there a saturation point? Our answer is that as long as the beer is good, craft beer lovers will support the breweries. Also when compared to other markets across the country, Long Island's population should easily support more breweries. For example, at the end of 2016 there were 105 craft breweries in the metro Portland, Oregon market serving a population of 2.3 million people. Meanwhile, the population of Nassau and Suffolk counties is 2.8 million people, which doesn't take into consideration the large number of summer visitors to the Hamptons, Fire Island and other beaches. So we think there is room to grow beyond the projected 40 craft breweries at the end of 2018. Look for a tasting room near you or pick up a growler, cans or bottles of LI-brewed beer at your local beer store and remember to #drinklocal. Another great opening in 2017 was the return of the Long Island Press as a monthly print publication in September, after being acquired by Schneps Communications earlier in the year. The Long Island Press has a long and storied history dating back to the 1800s as a daily newspaper. In its current rebirth as a monthly news and lifestyle magazine, it will be a valuable source of information for Long Islanders. LIBeerGuide is proud to be contributing a monthly column on beer to the Long Island Press. Our initial columns focused on Oktoberfest beers and profiles of craft brewers at Saint James Brewing and Patchogue Beer Project. The December issue featured a column on winter ales being brewed at Long Island craft breweries. 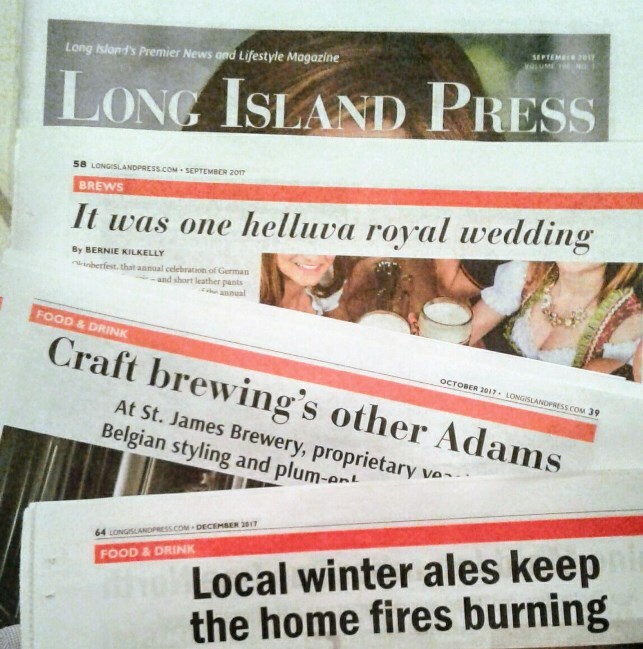 We look forward to contributing more columns and helping to spread the word about LI's exciting beer scene. 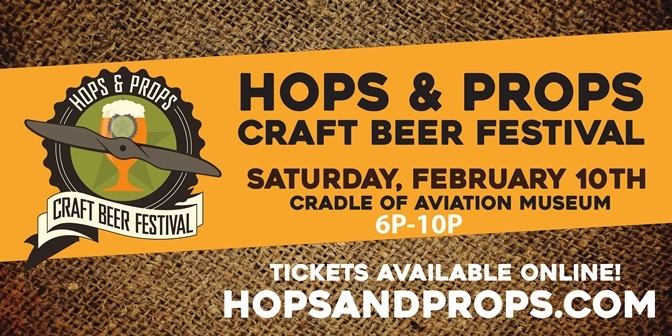 Feb. 10 -- Hops & Props Craft Beer Festival, Cradle of Aviation Museum, Garden City. VIP session 6-7 pm, Regular session 7-10 pm. Feb. 24 -- 5th Annual T.J. Finley's Winter Bourbon Festival, Bay Shore. Featuring 30 Barrel Aged Beers and BBQ, 3:30-7 pm. 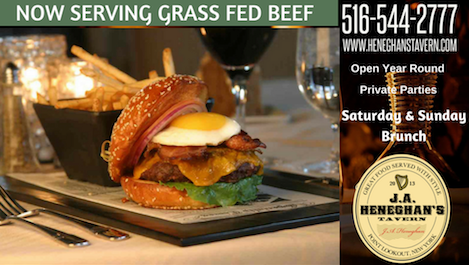 LIBeerGuide has more info on our social media feeds, so like our page on Facebook and follow us on Instagram and Twitter. We look forward to connecting with you in 2018! Happy New Year!